What's On My Android Home Screen? ~ Android Forever! What's On My Android Home Screen? 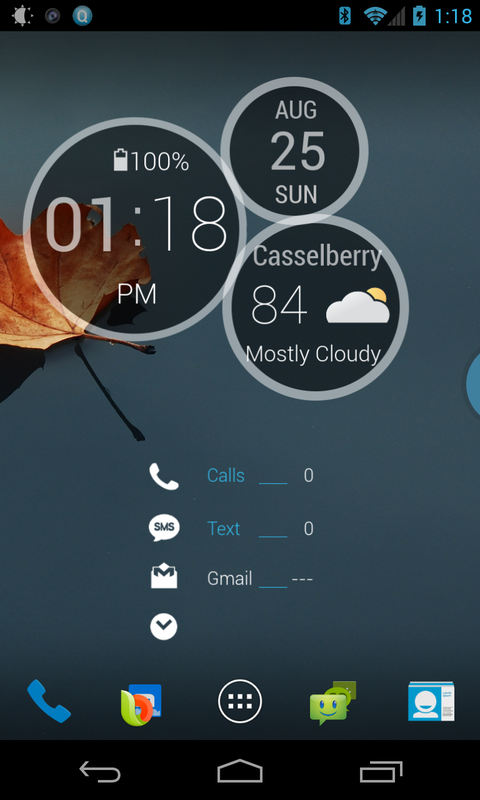 This is a very clean and elegant look, with lots of information displayed in a pleasing way. Just the free UCCW widget and two skins: Iridescent UCCW Free and Small Info.